ATCOM Managed Services conducted a network-wide assessment to document and improve networking configurations to be more in line with best practices for business computing. ATCOM also coordinated several replacements to aging carrier equipment to alleviate recurring interruptions in connectivity as well as providing ongoing desktop support to Ruff Housing users. Latency and degradation on phone calls were hindering their communication. Desktops were not up to par and were impeding Ruff Housing’s flow of work. Keeping communication up and running between locations was a must. Ruff Housing was having issues with internet connectivity and needed a way to keep that up and running. Access to digital information from any facility location is a necessity. “ATCOM has been fantastic to work with. Their employees really care about our business and we know we have someone we can call for any of our technology needs. Mitel MiVoice Business System installed on premise for reliability and voice quality. 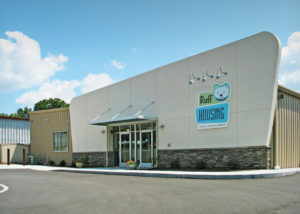 Ruff Housing’s four offices are connected over a private managed data network. ATCOM’s management and computer desktop support keeps computers standardized and operational. Meraki cloud based wifi allows easy management and accessibility to data from any location. Additional Firewall provides an added layer of security. Redundant internet connections provide maximum up time and failover capabilities. Dect headsets and handsets allow employees the mobility they need to provide top notch care for the canines will communicating that to their family members. ATCOM coordinated replacement of aging carrier equipment to ensure minimum connectivity interruptions. 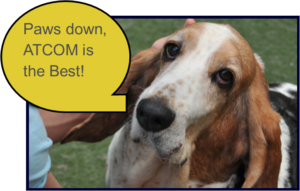 Ruff Housing now has a partner that understands their needs and will provide them with quicker service response times with layers of support as needed.